Many of us have unused credit cards which we applied for or accepted years ago maybe because we needed an available line of credit, a back up plan just in case we run out of money, points to get free stuff or just accepted a credit card offer in the mail without a clear strategy. Besides the obvious benefits of owning credit cards which include various point systems to receive cash rebates, airline tickets, hotel rooms, gas, and you name it, owning excessive number of credit cards also poses a variety of identity theft risks. First, we may not have a full account of all of our credit cards because as we own more and more credit cards, it becomes difficult to keep track and monitor them. Second, we may not know where they are whether in our wallets, purses, homes and offices. Third, the credit cards may not be secured where they are especially if we don’t know where they are. Fourth, we may not be immediately aware when any of the credit cards is lost, stolen or simply missing. Fifth, we may not have readily available contact information about their issuers in order to notify them immediately after we become aware that they are missing. And sixth, our credit score may be negatively impacted because of an excessive number of credit cards whether they are used or unused credit cards. The first five out of the six credit card risks mentioned above are related to identity theft risks which are addressed by the Identity KAOS principles and the Identity Diet program. There are very clear reasons why an identity diet is necessary to reduce these identity theft risks especially when such risks are presented to us unnecessarily due to owning too many unused credit cards. The consequences of owning and mismanaging too many unneeded credit cards include wasteful efforts needed for keeping track of them, late detection and notification of missing credit cards, financial and time losses associated with resolving identity fraud cases and reduced credit score which may be time consuming to improve. Extra credit cards have also their benefits as mentioned however a balance is needed between our credit needs and exposure to credit card risks. Unused and excessive number of credit cards expose us to unnecessary identity theft risks and regardless of the reasons which prompted us to collect extra credit cards, we must assess their usefulness and reduce their numbers before we are faced with unnecessary problems which could be avoided by their careful elimination without impacting our credit worthiness and assets. 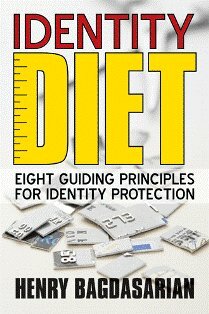 Take the Identity Diet challenge and assess your identity theft risks including excess unused credit cards.